Discount prices at higher quantities. Aerosol a 250ml refill for the dispenser. One aerosol (refill) contains 250ml. A dispenser sprays 3000 times per aerosol. It contains natural pyrethrum. It kills the insect but is not harmful to humans or animals. Order here the refills for the Flybusters dispenser. The refills contain 250ml suitable for 3000 sprays. Contains natural pyrethrum. 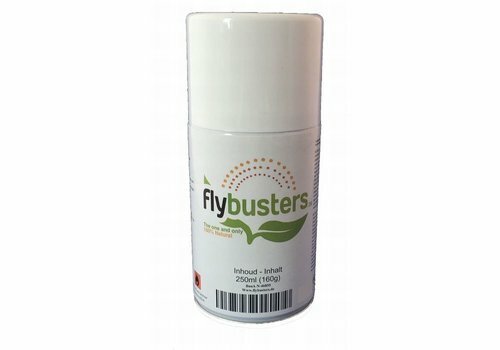 Kill insects but is harmless to humans and animals. Quantity discounts for larger purchases.